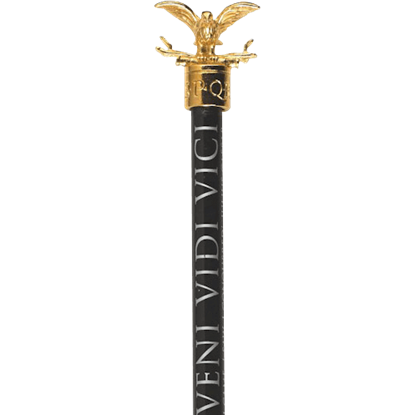 With this Bronze Roman Gladius Letter Opener in hand, you can be the arena champion as you slice through correspondence like a gladiator through their opposition. 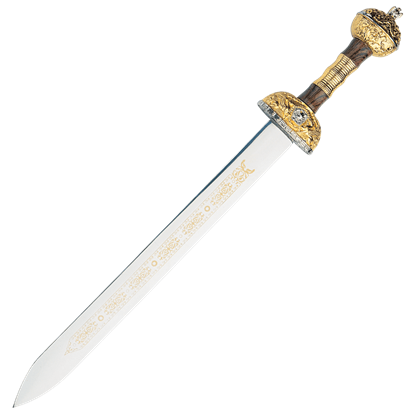 This letter opener is styled after the sword of the Roman warrior. Cupid, also known as Eros in his Greek form, is a Roman god and the son of Venus. He is best-known as an archer whose arrows cause love. 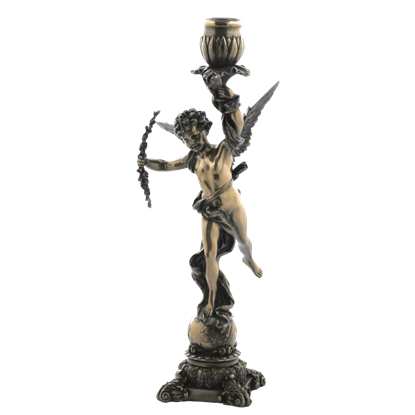 This Cupid Candle Holder depicts this legendary figure in his most iconic and classic form. 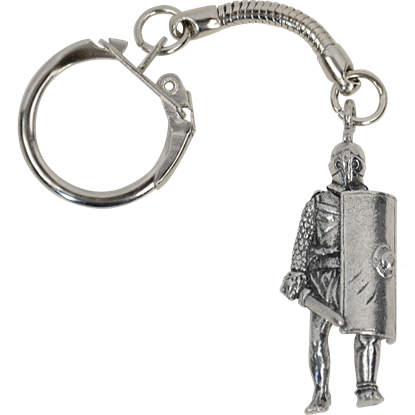 There are four Gladiator figure key-rings to collect, each specializing in different weapons and tactics. They are a Secutor, a Retiarius, a Thracian, and a Samnite. Each detailed figure is 1.6 inches tall and made from lead-free pewter. 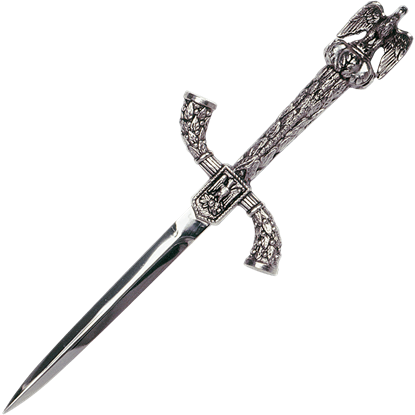 Designed in a Roman theme, the Imperial Roman Letter Opener is an exquisite home or office accessory that exudes a magisterial air. 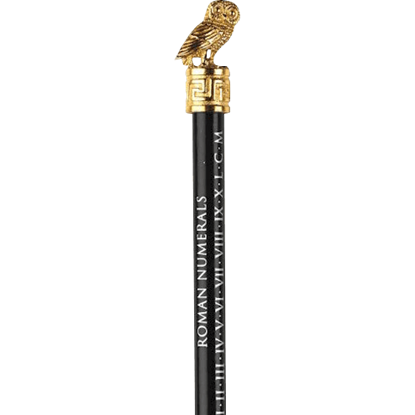 To achieve this elegance, it is decorated with bundles of sticks, laurel wreaths, and an imperial eagle. 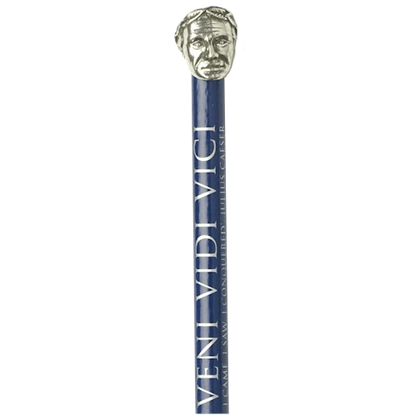 Imperator Gaius Julius Caesar Divus, often simply referred to as Julius Caesar, was a Roman military and political leader and one of the most influential men in world history. 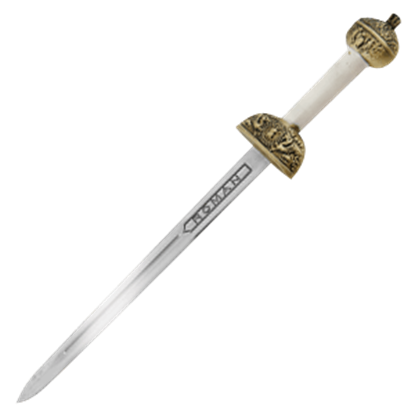 The Julius Caesar blade is made of stainless steel. If you want to make a popular mythic icon a part of your home decor, now is your chance! 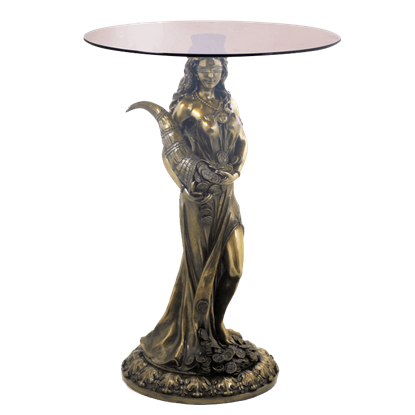 This La Justica End Table transforms the iconic form of Lady Justice into a stunning piece of decor that is fit for your home or office! The fires of justice burn warmly, tempered with even thought and the weight of truth. 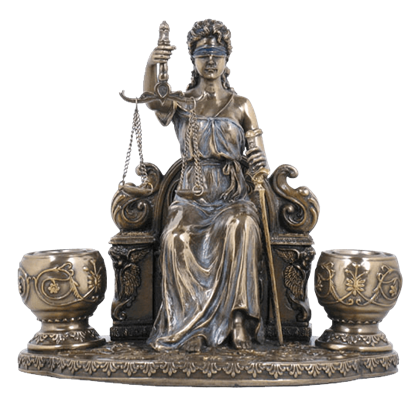 In this La Justicia Candle Holder, these fires of justice are actual flames that burn next to Lady Justices throne. Shakespeare said that Time is the justice that examines all offenders. 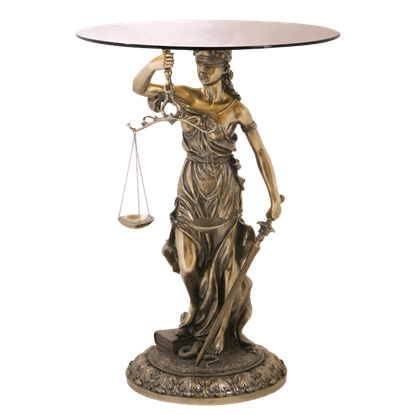 Instead of scales, this lady justice carries a clock. 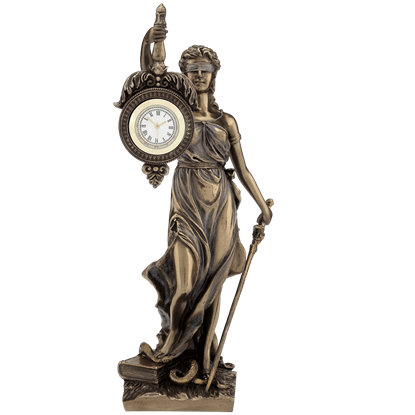 With this La Justicia Clock, you have an elegant display of justice and a functional timepiece in one.